Riyad Karim Mahrez (Arabic: رياض كريم محرز‎; born 21 February 1991) is a professional footballer who plays as a winger for Premier League club Manchester City and the Algerian national team. Mahrez began his career as a youth player for French club AAS Sarcelles. He turned professional in 2009 with Quimper, where he played for only one season before moving to Le Havre, spending a total of three years with them, initially playing for their reserve team and then becoming a first-team regular. In January 2014, Mahrez signed for English side Leicester City, helping them win the Championship and promotion to the Premier League at the end of his first season. In the 2015–16 season he was the Algerian Footballer of the Year, the PFA Players' Player of the Year, and was a member of the Premier League PFA Team of the Year as he helped Leicester City win the Premier League. 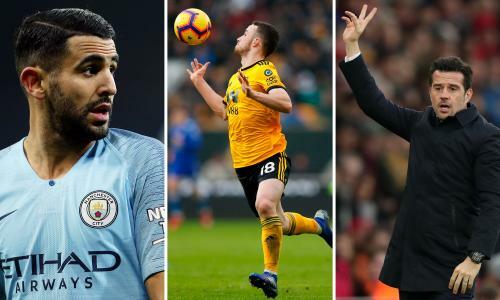 Born in France, Mahrez made his international debut for Algeria in 2014 and represented them at the 2014 FIFA World Cup and both the 2015 and 2017 Africa Cup of Nations. In 2016 he was named CAF's African Footballer of the Year. 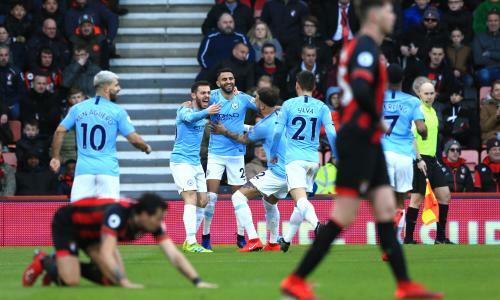 Rolling report: Manchester City went five clear at the top, while ten-man Brighton outplayed Crystal Palace on the south coast. Scott Murray was watching.